I love music. It is as simple as that. I love listening to it. My husband once made a comment to someone about how, whenever I go out, I take my iPod with me. And it is true. If I am heading into the next town by public transport, I make sure that my iPod is in my bag and fully charged, ready to play some music. I started to learn to play the piano when I was at primary school and I didn’t particularly like practising. I even went to lengths of hiding one of the music books at the bottom of my mother’s piano stool as I hated the pieces so much. I didn’t reach a particularly high grade and gave it away. I never lost the ability to read music and when my kids were small I decided that I wanted to go to lessons again and improve. My parents even organised for their piano to be moved to our house so I could practice. I found an absolutely fantastic piano teacher and it was a shame to stop going to her lessons and even sadder when we moved to Italy and left the piano behind. It has been most satisfying to me that my kids share my love of music. They have been fed music ever since they were small. I subjected them to hours of Playschool and we listened to many hours of the Wiggles and High 5. Whilst we were in Italy their experience of music changed. We asked them if they were interested in taking music tuition. 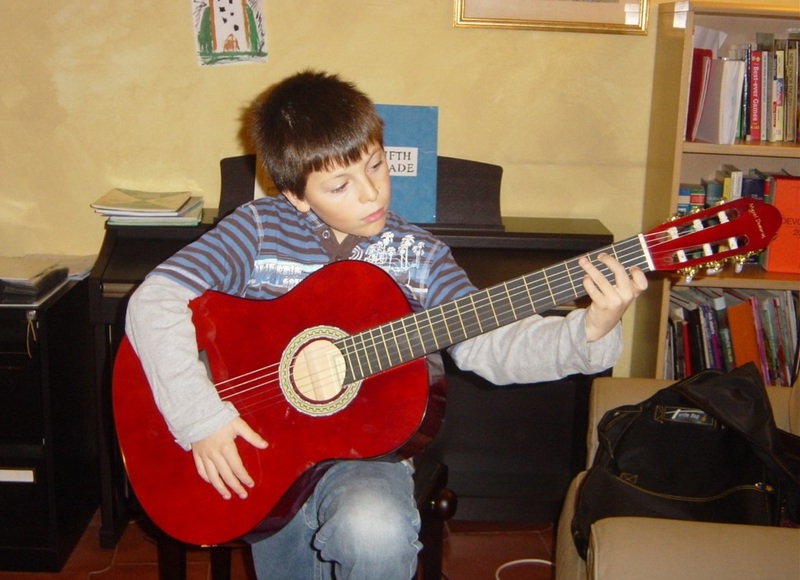 My son started off with the guitar, an experience which was rather short-lived. He hardly ever practiced and didn’t get into it that much. It really surprised me, in a pleasant way, when he started showing an interest in the piano, thanks to two of his school friends who could play. He hasn’t had any formal training, but he did manage to learn a couple of pieces of music off by heart. During our time in Italy we decided to sell both of our cars and buy a newer one. Then with the money that was left over, we were able to get a piano. 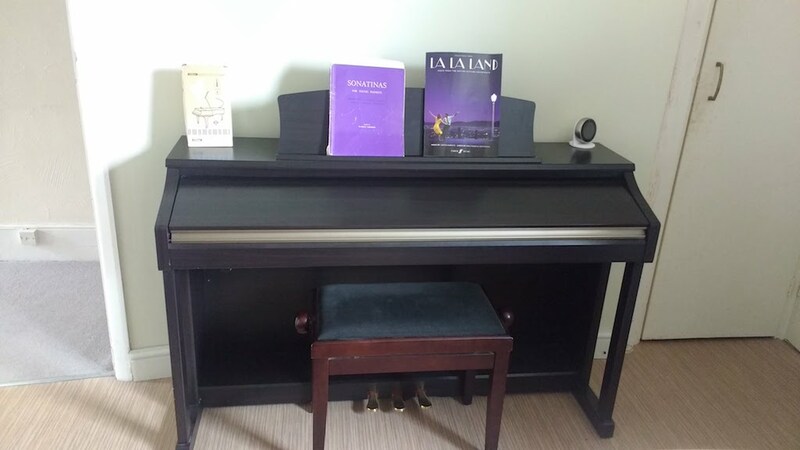 I had been without a piano for a number of years by then and it came as quite a shock to have one again. I didn’t use it as much as I could have. In the end it was probably used more by my son and his friends than me. When we first moved over from Italy, the piano unfortunately stayed behind. However now it is a feature in our dining room. Now my daughter is another story, as she picked a musical instrument that I have no experience with whatsoever – a violin. The violin is a complete mystery to me. However, her teacher was absolutely fantastic and so supportive, even when my daughter didn’t practice as much as she should have. There were also other people who she knew who could play the violin as well. One summer’s day there was even a mini violin recital at the local sailing club in Capodimonte. 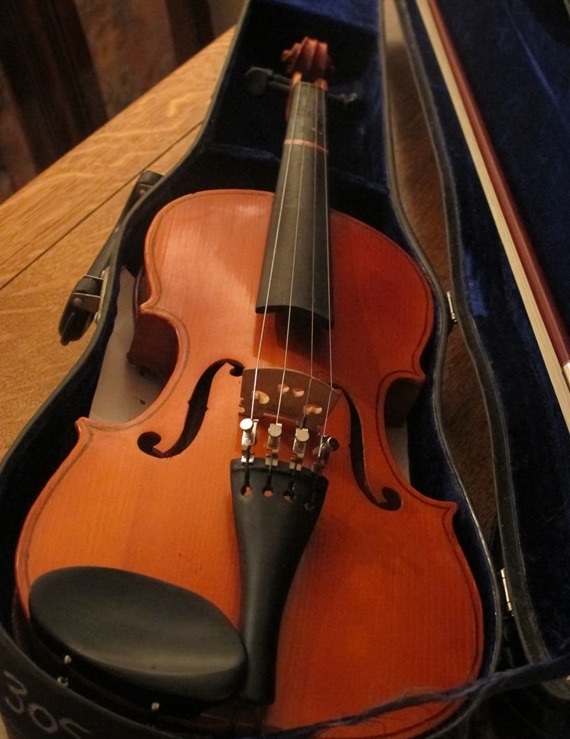 The violin that she had been using in Italy stayed behind. It was falling apart and wasn’t worth bringing. It is a shame though that we couldn’t bring her teacher with us. But she did initially have lessons when we made the move to England. She did have the extra challenge of learning to read music in a different way – using the names of the notes like I had to with learning the piano in Australia. She reached a point where she really didn’t want to continue her lessons. I wonder if my children will ever go back to musical instrument tuition in the future, like I did with the piano. I dusted my piano earlier today and played it for the first time in weeks. I played a couple of my favourite pieces and made a little progress learning a piece from La La Land, one of the ‘easier’ ones with one flat rather than five! Do you like music? Can you play an instrument? This entry was posted in Music by Cathy Powell. Bookmark the permalink.